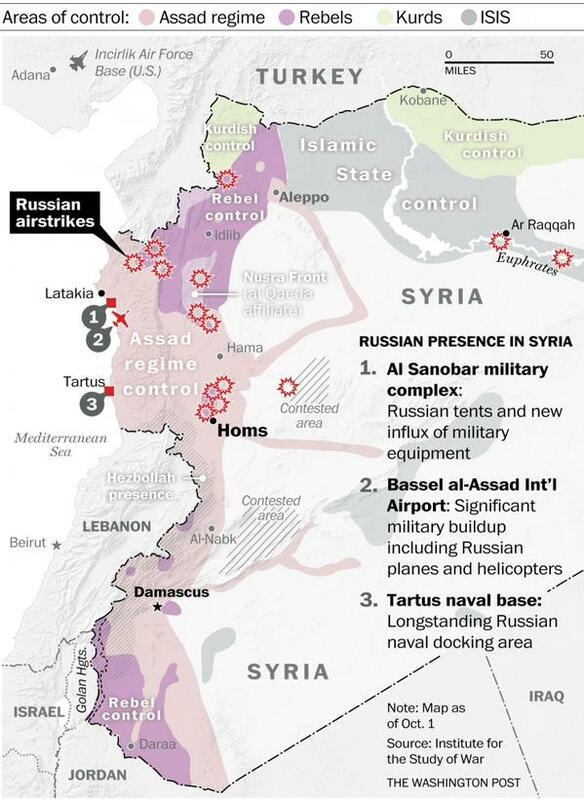 Russia began airstrikes in Syria this week. The Russians targeted rebel factions in the northwest rather than ISIS positions in the east. 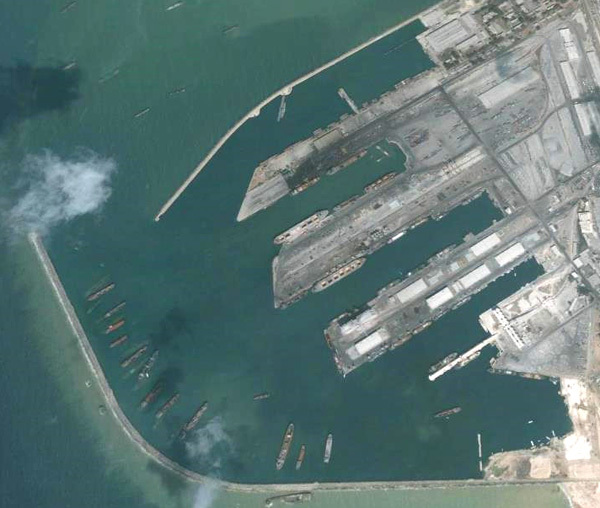 Russia moved its Black Sea Fleet to Port of Tartus. …Although President Putin has publicly claimed that sending Russian ground troops to Syria is “out of the question,” evidence is growing that he is preparing a broader intervention. The Russian Black Sea Fleet conducted new naval exercises involving landing ships offshore from the expanding Russian naval facility at the Port of Tartus on the Syrian Coast, and Putin is apparently considering granting combatant status to Russian forces already in Syria.